The frame has been drawn from one single piece of iron. Only the small rivet has been added to join the two sides. 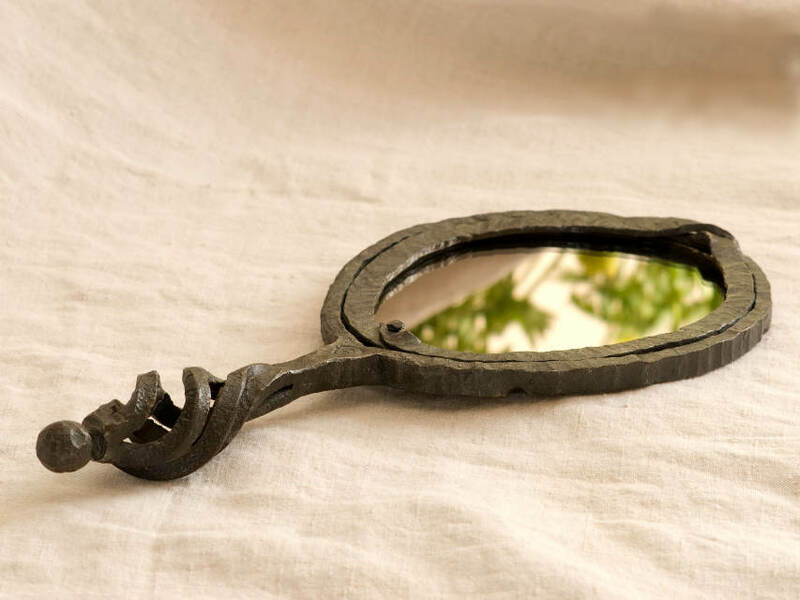 The handle features a traditional element of blacksmithing – a twisted cage. In order to make on you have to slice the material into four and twist it. The end is decorated with a forged ball.